Jack is given two magic seeds by a wizard. He is told to plant one seed and eat one seed, but Jack figures out a more lucrative method. How many seeds does each harvest yield? 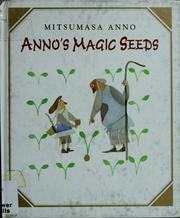 Anno, Mitsumasa, “Anno's magic seeds,” Children's Picture Book Database at Miami University, accessed April 20, 2019, https://dlp.lib.miamioh.edu/picturebook/items/show/9908.